So Tom Peter’s manifesto is a bit ‘Jurassic Park’ apparently. Well, I wouldn’t go that far but I did say myself it was far from new. 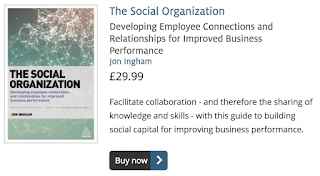 I’ve been thinking whether there is anything else I can offer you, other than the assembled thinking in this blog, my book etc, which will provide more valuable insight, and so have been taking a look at SumTotal’s ‘Definitive Guide’ to Strategic HCM which came out earlier this year (I think). And I’ve been so annoyed by what I’ve been reading that I’ve been driven back to my blog. I’m absolutely not arguing that HCM doesn’t require or enable integration (I can easily evidence the fact that I’m a big fan of this approach and of the use of technology to support it). And there’s nothing wrong with SumTotal’s suggestions for typical cross-process flows (pictured). But to try to define HCM in this way misses out on most of what is important in the approach. 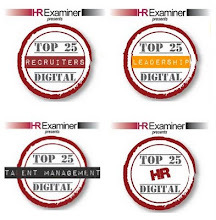 At it’s core, Strategic HCM has nothing to do with process workflows at all. 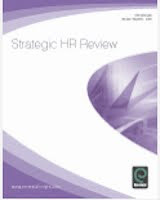 Strategic HCM is about what it says on the tin – strategic management concerning human capital. Tom Peters was absolutely right – human capital (but not training) really does need to be the top priority. The other thing people get wrong of course is thinking that this means it’s management of people as human capital (yuck) whereas it’s really about managing people for human capital – creating this capability as a basis for organisational success and transformation. Strategic HCM is about outcome, not about process / activity. Yes, once you’re clear about what outcome you need to create it’s easier to identify the processes which will support this, and it’s also easier to define an integrated set of processes this way. But processes (and by extension, technology) definitely aren’t the core. 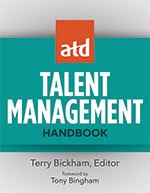 So if you’re looking for the definitive guide to strategic human capital management, drop this and the other white papers, and continue reading here. I know I’ve been a bit quite over the Summer but there’s loads more great insights coming your way soon. Keep reading! After a bit of concern in the British press last week about our earlier lack of gold medals, the national mood seems to have swung very rapidly towards pride and joy in our achievements at the Olympics. I do think the pride is justified – for a small if crowded island, this has been a terrific performance and it’s been great to see that we can fight above our weight in sporting competitions with other countries as well as warring with them (thinking about frequency rather than success rates necessarily here). But to me the whole tone of the recent press coverage is rather unfortunate really. I’d been trying to use the Olympics to reinforce to my daughters the importance of taking part in sports and other competitions rather than just winning and this argument has been blow out of the water by the press focus on gold medals (even silver has received a bit of a sniffy treatment at times). And now even the UK government is on the band wagon with Jeremy Hunt performing another government U-turn (on practice if not policy) by arguing for an increase in the amount of physical education in the UK’s schools. David Cameron in particular wants to see a focus on competitive sports which is a fairly obvious suggestion from a Conservative politician with a deep belief in the power of competition honed no doubt from his own experience at Eton. But I’m not so sure this is what is needed by the country. I’ll share two experiences with you to try to explain why not. Spain’s Benjamin Sanchez for completing after nearly collapsing with just a couple of rounds to go. The UK’s Dominic King who came in last. Our support for Sanchez and King in particular had nothing to do with competition – it was simply their personal achievement that we valued (their taking part, even if they never had a chance of gold). 2. Taking the train into London has been am amazingly positive experience over the last couple of weeks – firstly because there has been less people on the normally over-packed trained, but mainly because most people have been happy, courteous and have actually been talking to each other. It’s a big shift from the normal atmosphere on the trains and I think one of the big factors has been that there’s been more support and LESS competition. I first noted this on the way back from one of my trips into London last week. What normally happens as we get towards our station is that people stand up and move towards the door a couple of minutes before we arrive. In fact on a crowded station the departure of the train from the preceding station is often the signal for people to stand up and jostle each other into position. The ‘winner’ of this informal little competition can then stand in the middle of the double doors blocking anybody else from exiting until they have done so. I find it all very sad so it’s been great to see it NOT happening and I’d love to see an ongoing reduction in the amount of competition. So I agree with Seb Coe that we need to focus now on capturing the feel-good factor from the games, but I’m less sure that requires more competitive sports. I’d suggest the country’s kids can gain just as much out of Indian dancing as they can through football or boxing. I also think businesses might benefit from switching their focus from competition to achievement too. It might not make us any richer but we’d all be a lot happier – all of the time. I thought you might be interested in this post from me on the Economist’s Management Thinking blog, referring back to their Talent Management Summit this Summer which I spoke at and blogged on as one of their official media attendees (and the sole social media one). It’s great to be involved in the Economist’s great conferences (I’ll also be attending the High Growth Markets Summit in September and the Diversity Summit in December) and now to be featured on their great Management Thinking blog as well! I’ve received an update on the programme for Fleming Europe’s Social Media in HR Summit taking place on 27th and 28th September in the ‘internet capital of Europe’: Dublin, Ireland (base for international headquarters of companies such as Google, Facebook,LinkedIn, eBay, Zynga, Twitter and Gala Networks). It looks like a great event and I’m looking forward to catching up with Matthew Jeffery again and meeting all the other speakers – particularly Courtney Hunt as I’m in her SMinOrgs groups and we have tried to get together before – particularly in a joint proposal for a presentation to the US’ Enterprise 2.0 conference which unfortunately didn’t happen. So it’ll be good to team up for this. And I hope I’ll also get to meet you there too? 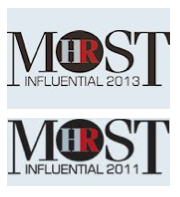 If you’d like to attend the event you can book at http://human-resources.flemingeurope.com/social-media-hr/register.